October is Breast Cancer Awareness month and as always, there are many brands donating to the cause through the sale of special promotional products. 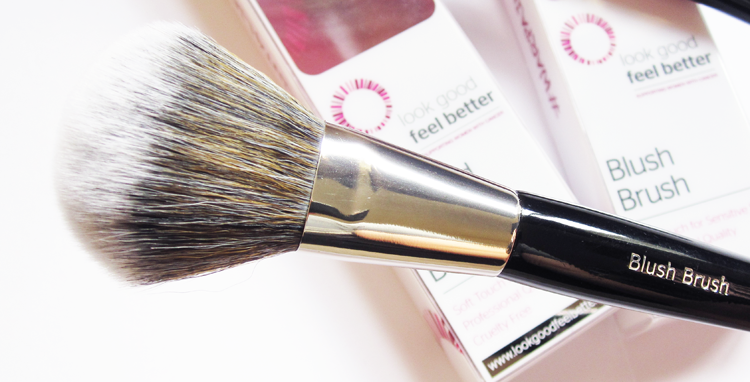 In this post, I've reviewed a bestselling hand cream from Aveda and two gorgeous makeup brushes from Look Good Feel Better. 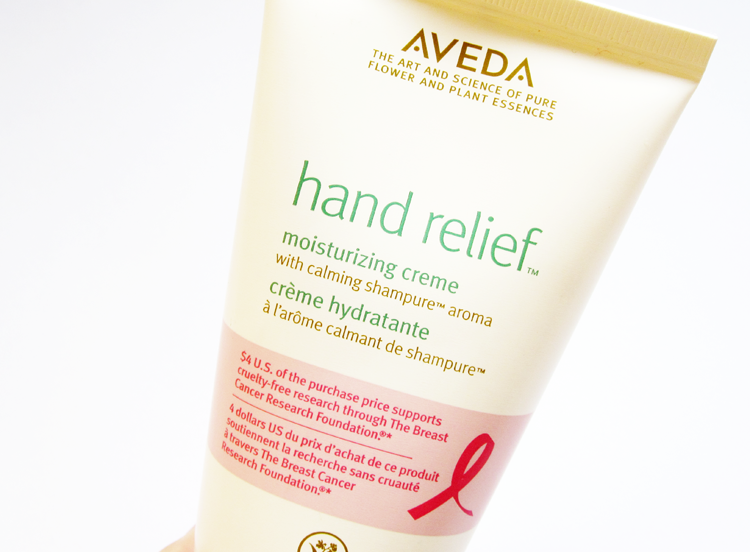 Hand Relief was one of the first Aveda products that I was introduced to, and I've used it on and off over the years. It's an absolute saviour for dry hands, so it really comes into its own during this time of the year and throughout the winter months. This Limited Edition version boasts a bumper 150ml size (which will last ages!) and feature's one of Aveda's most beautiful signature aromas; Shampure which is a calming blend of 25 pure flower and plant essences. The hand cream feels light and non-greasy, and keeps hands happy and hydrated throughout the day or night depending on when you choose to use it. £2 from the sale of this product will go to support cruelty-free (so no animals involved) research by the National Breast Cancer Foundation who focus on assessing the environmental and lifestyle factors that potentially cause a higher risk of breast cancer, and Aveda will contribute a maximum donation of $314,000. 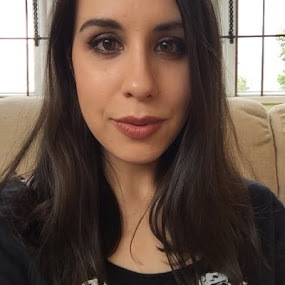 Look Good Feel Better are a cancer charity who provide practical support for women and teenagers who are struggling with the visible side effects of their cancer treatment. 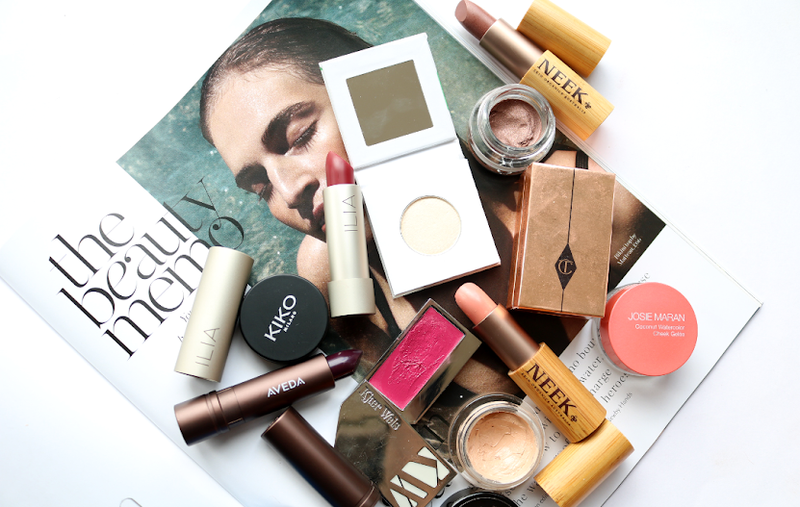 For over 20 years, they have been helping people to face cancer with confidence and run a programme of free skincare and make-up workshops across the UK. How awesome is that?! 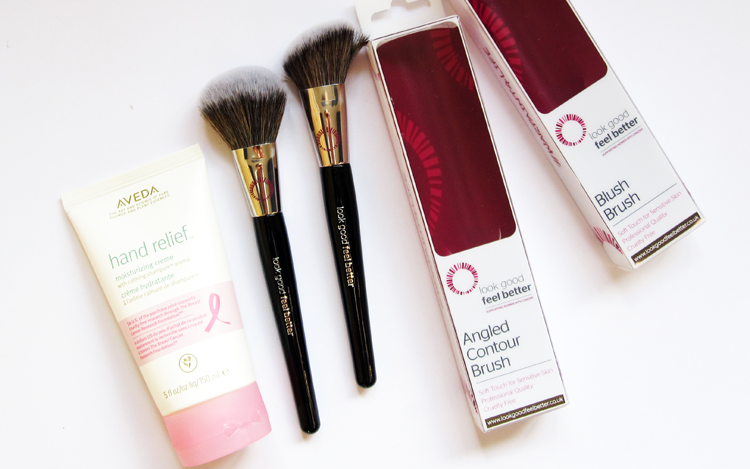 To help fund their work, they sell a range of professional quality makeup brushes and accessories which will raise a guaranteed minimum annual donation of £30,000. The quality of these brushes is definitely on a par with the likes of Real Techniques and I haven't had an issues with shedding. They are SO soft, even maybe softer than RT - I'm seriously impressed! 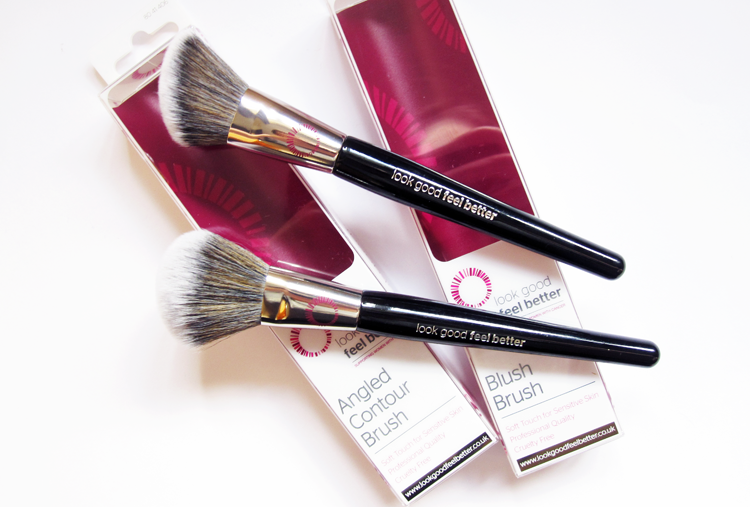 The LGFB Angled Contour Brush has a slightly chunky black gloss wooden handle, and features super soft cruelty-free taklon synthetic bristles that work perfectly with both powder and cream formulas. The head is angled so it's easy to place product exactly where you want it underneath the cheekbones to expertly contour your face. 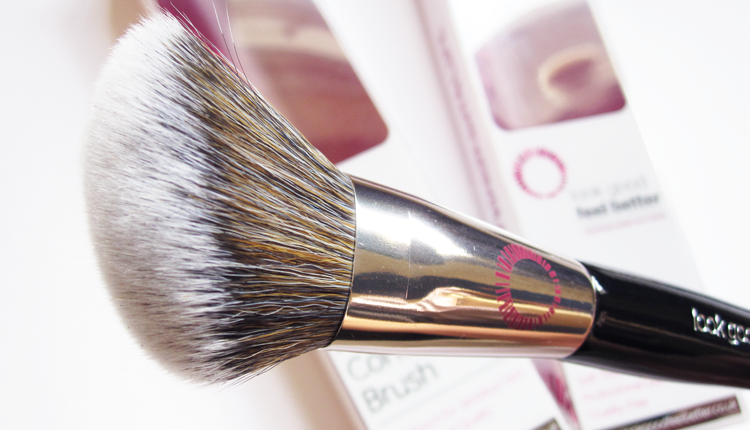 You can also use this with highlighters and bronzers to add light and depth. 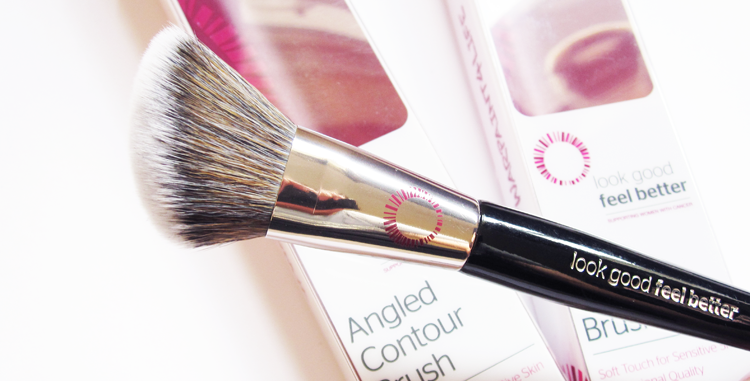 The Blush Brush has a bigger head than the Angled Contour Brush, and this is rounded into a classic shape for a blusher brush. 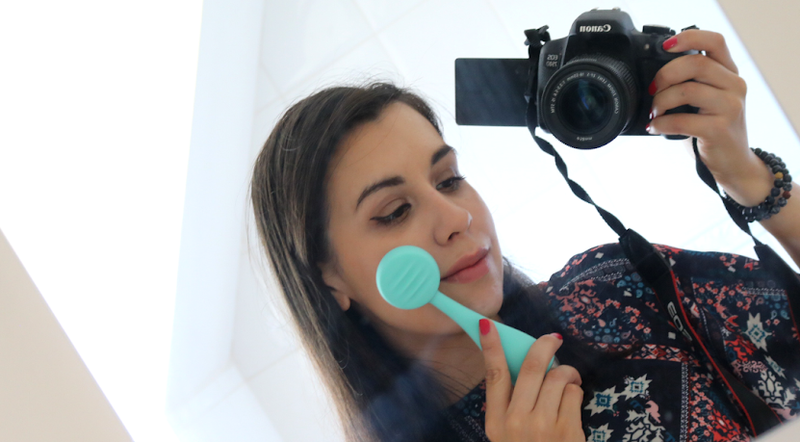 Again, the bristles are ridiculously soft which makes it such a pleasure to use and doesn't irritate my sometimes sensitive skin. 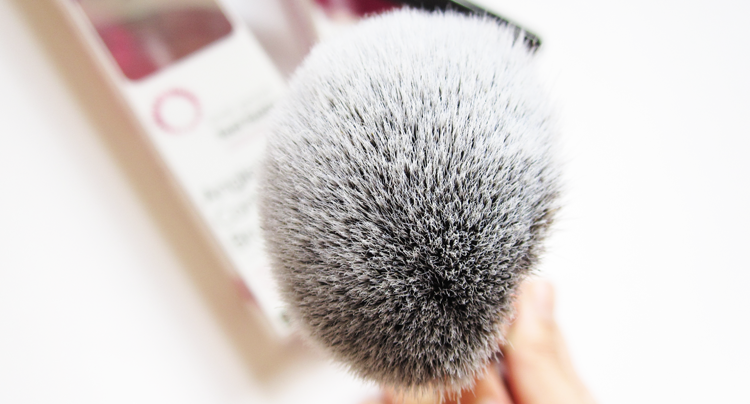 I find this works best with powder formulas, so you can use it with bronzers and setting powders too. Have you purchased any promotional products for Breast Cancer Awareness month?